This simple lined box sits on beautifully contoured hand-cut legs and features an inlay of iridescent abalone shell on the lid. 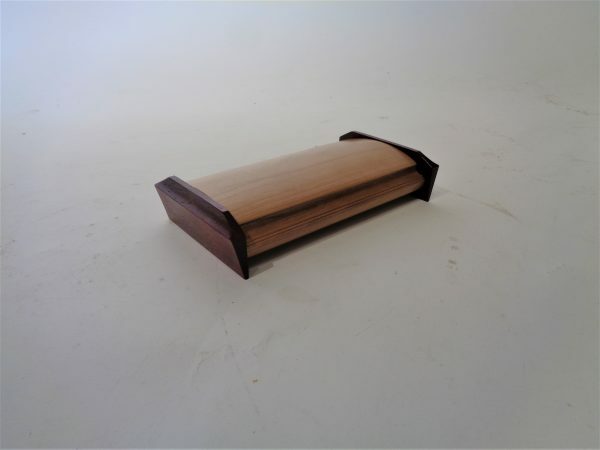 Crafted from solid hardwood this box is perfect for offices as a desk piece or for jewelry. This piece has been beloved as a gift for bridal parties, groomsmen, retirement, recognition and awards. This is a one of a kind box so call for availability or come see us!